When you’re headed to the range, you should be focused on one thing: getting the most out of your time there. 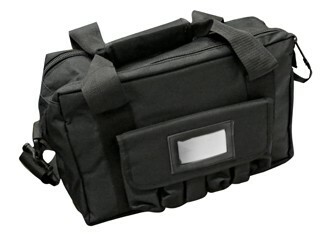 That’s why it’s imperative you’re equipped with a range bag with all the gear you’ll need to maximize your shooting experience – after all, waiting in line for elongated periods of time only to discover you left an important piece of gear at home is extremely frustrating, especially if your range has limits on your shooting time. 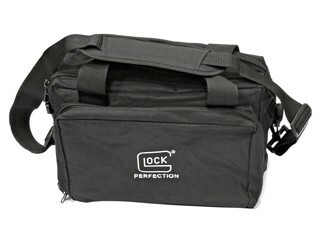 Therefore, be ready and prepared ahead of time; make sure you’re carrying the new GLOCK 4-Pistol Range Bag – the ideal way to get both protection, ample storage, and easy access to a wide variety of gear: pistols, ammo, magazines, and safety equipment. 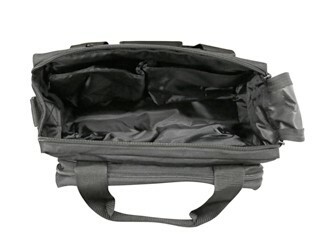 Constructed of durable, water-resistant 600 denier polyester, the GLOCK 4-Pistol Range Bag features several storage options that are designed with your convenience in mind: Utilize its zippered pouch on its front side to store safety glasses, ear protection, water bottles, and other personal items. The bag’s back-side-located, covered-magazine storage compartment can easily accommodate six double-stack or 12 single-stack magazines. Additionally, this pocket is protected by a full-width Velcro cover. Make the most of your range time by getting organized. For more information and to get yours, be sure to visit GideonTactical.com. Think fast: If you’re wounded in a dynamic or active-threat environment, are you adequately prepared to apply a tourniquet to prevent exsanguination (bleeding to death)? It’s worth your time to do your due diligence in learning how to effectively apply one, by yourself or in conjunction with others. After all, being able to control a life-threatening hemorrhage will certainly aid you in successfully completing your tactical-based mission objectives. As an innovative force in the development of life-saving gear, SAM Medical fully realizes the hardships that come standard with any challenging mission. This is why the SAM XT Extremity Tourniquet is specifically made for those who eagerly confront adversity. Intuitively designed for rapid application courtesy of its uniquely constructed precision tab, it requires less windlass turns, enabling easier, more streamlined training. Windlass C-Hooks firmly hold its metal windlass rod thanks to an intuitive, angular design, which allows for easy, efficient windlass locking. Its TRUEFORCE™ buckle technology utilizes baseline-force control to activate locking prongs, thereby eliminating nearly all tourniquet slack, which removes the risk of exsanguination occurring. Extremely sturdy, it easily exceeds MIL-STD810G for durability, so you can rely on it to take a beating and still be ready to use at a moment’s notice. Inclement-weather conditions and dirt can severely hinder Velcro-dependant tourniquets, which can make them ineffective when they’re needed most. 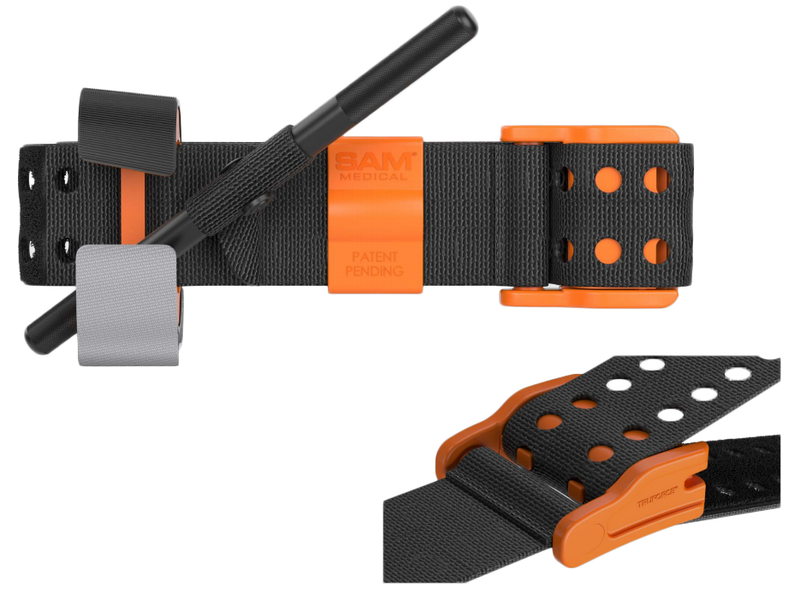 The SAM XT Extremity Tourniquet is immune to these obstacles because of its all-weather precision strap, which is constructed of a single-layer, nylon-webbing material. 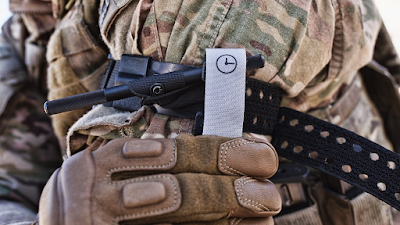 Additionally, the webbing features intervaled holes that lock with its TRUFORCE™ Buckle Technology, thereby creating a consistent, efficient primary security system. Specifically, the TRUFORCE™ Buckle Technology auto locks to engage strap holes within a circumferential range of 5.5 to 35 inches (13.9 to 88.9 centimeters). 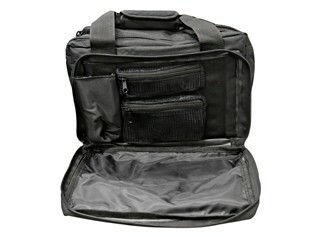 For more information on this vital, life-saving tool and to get yours, be sure to visit GideonTactical.com. When it comes to firearms-related safety, there are two universal truths that must be adhered to regarding a holster: First, it needs to keep your sidearm secure when it’s not needed. And second, it must allow the wearer to access his or her weapon at a moment’s notice. This is all applicable regardless of where the holster is positioned or how it’s strapped to your gear. Constructed with a tactical STX hard-shell finish, you can be assured your weapon will be secure at all times: Its Automatic Locking System® firmly locks your weapon in all directions when holstered; simply use your thumb to draw it straight out – no awkward, time-consuming twisting required. The Safariland 6360RDS ALS/SLS Level III Tactical STX Duty Holster builds on the solid foundation of the Self-Locking System, combining with the added security of Level III Retention to ensure your weapon stays safe and instantly ready for use. Extremely durable, the holster’s unique STX material is heat-laminated and molded to fit the exact shape of weapons and accessories. 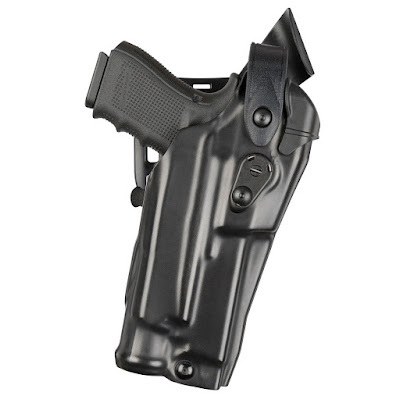 As an exclusive benefit, the Safariland 6360RDS ALS/SLS Level III Tactical STX Duty Holster specifically addresses seat-belt-abrasion issues, guarding your weapon against scraping and scuffing. Carry with confidence. For more information and to get yours, be sure to visit GideonTactical.com. For over 50 years, the Peltor brand has offered a broad range of hearing-protection products for hunters and shooters, including earplugs, earmuffs, and safety eyewear. Each of their quality products has been specially constructed with innovative technology and materials that offer augmented comfort, fit, and performance. The Peltor Sport RangeGuard Electronic Hearing Protector is no different, offering superior performance, enhanced comfort, and an improved user experience. It is estimated that one in 10 Americans has hearing loss that affects the ability to understand normal speech. For shooting enthusiasts, it should come as no surprise that this activity easily subjects its participants to noise levels intense enough to cause permanent hearing loss – unless the proper precautions are employed. Take your hearing into consideration today so that you can enjoy it tomorrow. For more information and to get yours, be sure to visit GideonTactical.com.